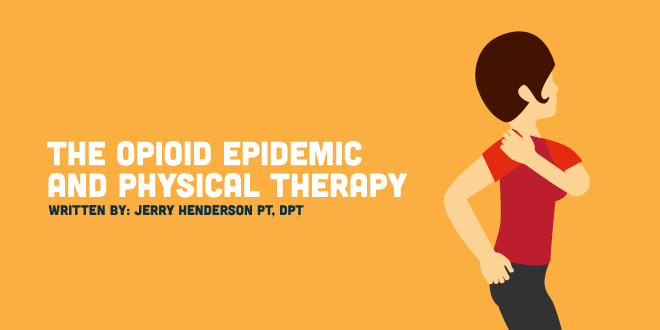 Jerry Henderson from Clinicient is back with another great article raising awareness for and explaining physical therapy's role in the opioid epidemic that is so destructively affecting our society. The opioid epidemic and physical therapy are closely related in that we as practitioners can help improve the current state of affairs. The abuse of opioid medications in America is a huge crisis. It reached epidemic status years ago, yet went unrecognized by our public health officials until recent months, and is just now becoming known to the general public. Over 47,000 people died of overdose deaths in 2014, primarily from opioid abuse, and for the first time ever, overdoses are causing more deaths than car accidents. The recent opioid overdose and subsequent death of the singer Prince is just one more tragic example that has increased the public’s awareness of the crisis. 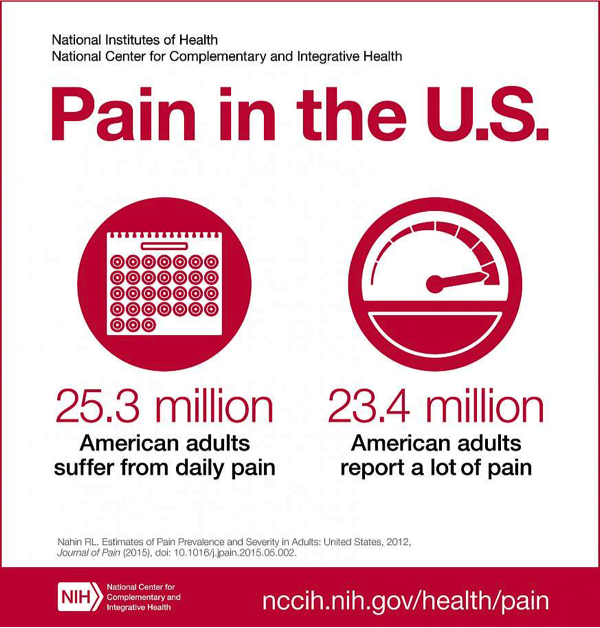 The root causes of the problem are complex and multi-factorial, but it is instructive to think about how pain perception, societal influences, and our dysfunctional “pill first” healthcare system may have contributed to the epidemic. Also, it is important to understand that it is a uniquely American problem. Why are so many Americans in pain? Why are they prescribed so many opioids? What does this have to do with physical therapy? What is our role in combating opioid abuse? Why are so many people in pain? I believe that opioids are over-prescribed for several reasons. First of all, I believe Americans have been conditioned to expect instant miracles from healthcare and equate pills to being magically cured of their pain. In reality, they only temporarily relieve the pain and may lead to neglecting treatment of the root cause of the problem. Some of the increased demand for opioids is fueled by big pharmaceutical company “ask your doctor” advertisements and coupons designed to encourage that first prescription. Our dysfunctional fee for service system with physician gatekeepers is also at fault. Physicians are under pressure from our third party payers to see a high number of patients and offer them the cheapest treatment available. Often, the cheapest treatment in the short run is medication. How are the opioid epidemic and physical therapy related? There is an old saying that “if the only tool in your tool chest is a hammer, everything looks like a nail.” Prescription medications are #1 in the physician tool chest, and, since physicians are the entry point in our healthcare system, it is no wonder that the first treatment of choice is often a prescription. Many blue collar working Americans feel they have little choice. Many of them barely make a living wage, even with both parents working, and even a short time off of work is devastating financially. Many laborers who perform repetitive tasks have chronic overuse injuries that receive little immediate attention. Turning to opioids may allow them to keep working while masking their symptoms. So, what does the opioid epidemic have to do with physical therapy? Plenty. Based on the above, I believe that the battle lines for combating chronic pain and the opioid epidemic are clear and that there are some practical steps we can take as a profession to begin fighting the battle systematically. For example, in my view, “Fibromyalgia” is a terrible term, and needs to be eradicated from our vocabulary. Fibrous tissues and muscles have nothing to do with “Fibromyalgia”. I grit my teeth, just a little bit, every time I hear it. Let’s call it what it is: “Chronic widespread pain” or, even more honestly “Idiopathic chronic widespread pain”. We need to understand that we can’t always find the “smoking gun” causing pain. We know less about the etiology of pain than we care to admit. We cannot always attribute pain to tissue damage, x-ray findings or advanced imaging studies, laboratory tests, or biomechanical abnormalities found in physical examinations. Conversely, we can’t assume that abnormal findings are the cause of someone’s pain. Nociception (sensation, perception of physical harm or tissue damage) and Chronic Pain (long term emotional response to nociception) are different things. Chronic pain is not a good indicator of actual tissue damage. Patients need to be assured that their chronic pain is REAL… and that we understand that it is not a character flaw, it is not their imagination and it has nothing to do with mental toughness. If we don’t assure our patients that we believe they are in pain, we often put them in the position of proving it to us. Making people “prove” they have pain is counter-productive. Cervical collars, back braces, arm slings and medication prescriptions all serve to help people “prove their pain”. In the worker’s compensation system, independent medical examinations provide another incentive for patients to prove their pain. “Catching” people in chronic pain who are able to function better than they should be able to (given their description of symptoms) is child’s play and proves nothing. There are always exceptions, and there are certainly situations when there are incentives to fake symptoms. In my experience, IMEs mostly serve to increase anxiety in our patients and many will use the IME to prove their pain. Health Care providers need better training on pain. They need to have a better understanding of the differences between nociception and chronic pain, and that long term use of opioids is counter-productive. Identifying patients at risk of chronic pain as soon as possible so that they can get intensive, multi-disciplinary active treatment, rather than medication and rest is critical. This is especially critical with overuse injuries. Many people with chronic widespread pain have not had a history of significant trauma. Often, there is no identifiable injury at all. Many times, repetitive stress over a long period of time isn’t recognized until it is too late, and it becomes a debilitating problem. Many of these chronic overuse injuries may be prevented by early recognition and addressing ergonomic problems. Sometimes these injuries may be prevented by things as simple as lowering or raising chair or working surface heights, varying working positions during the day, and allowing people to sit or stand at meetings. All simple things. With increased awareness about our pain epidemic, many health professionals are being taught to ask patients to rate their pain on a 0-10 scale on a routine basis, even when they are not complaining of pain or are being treated for non-painful conditions. I believe this focus on pain intensity only serves to increase the fear of pain, potentially worsening the problem. Instead, why not focus on function? Why not ask people how much activity they are able to tolerate rather than how much pain they have? With advanced imaging studies, we have proven that we cannot always find an anatomical source of pain, even though scans of the brain show that the patient is, indeed, perceiving pain. Assuming serious pathologies, like cancer or heart disease have been ruled out, let’s not assume that a relatively minor anatomical abnormality is “the source” of pain. Often, we simply don’t know, and it is time to admit it. Our tool chest includes an understanding of biomechanics, ergonomics, therapeutic exercise, pain biology, and psychology. We are the movement and function experts in healthcare. We can identify biomechanical problems early and treat the root cause of overuse issues. We are also blessed by NOT relying on the physician’s tool chest: narcotic medications, injections, surgery, and imaging studies. We have the unique privilege of working with our patients in “up close and personal” settings. We see patients more frequently than physicians, so we are in a great position to act as coaches for our patients to self-manage their chronic pain. “Self-management of chronic pain holds great promise as a treatment approach. In self-management programs, the individual patient becomes an active participant in his or her pain treatment—engaging in problem-solving, pacing, decision-making, and taking actions to manage their pain. Although self-management programs can differ, they have some common features. Their approach is that the person living with pain needs help learning to think, feel, and do better, despite the persistence of pain. Improving communication with the healthcare provider is part of that empowerment. Read that excerpt carefully. Doesn’t that sound like PT? I believe we are uniquely qualified to be primary care providers for people with chronic widespread pain. Spinal Manipulation: Is It All It’s Cracked Up to Be?